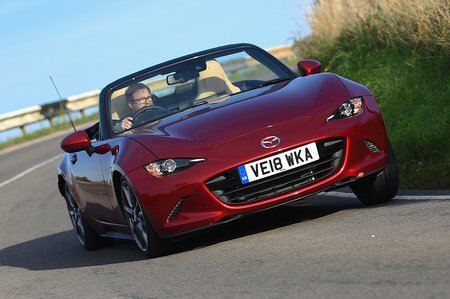 Mazda MX-5 2.0  SE-L Nav+ 2dr 2019 Review | What Car? What Car? will save you at least £1,222, but our approved dealers could save you even more. This 2.0-litre engine shows the MX-5 at its best, with plenty of power to have fun without the car ever feeling too fast for the road. It's capable of surprisingly good economy, but not when you're enjoying all of the 7500rpm available to you.